This morning I was thinking about resolutions, and why I’ve never had any. And why I have an aversion to them. Kind of like the aversion I have to diets. And excessive rules. Both of which tend to be broken almost as quickly as one sets out to follow them. Dr. Warren Halleman, Director of M.D. 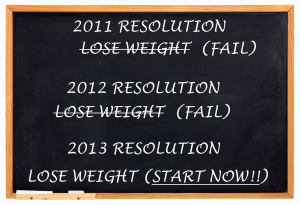 Anderson’s Faculty Health and Well-Being Program, wrote a piece last year, “Why New Year’s Resolutions Are a Bad Idea.” I tend to agree with him. 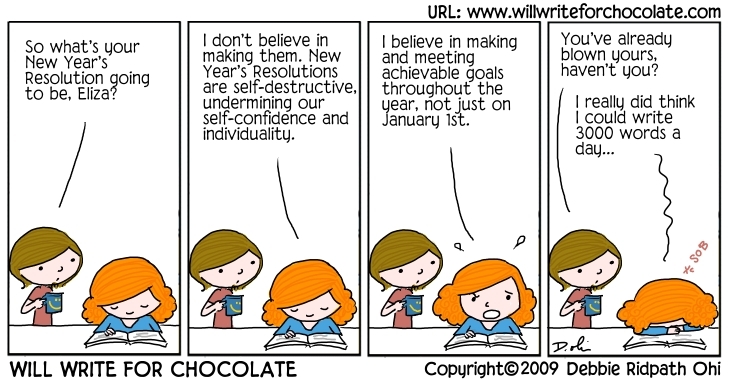 And yet, it seems like a good idea to have goals. 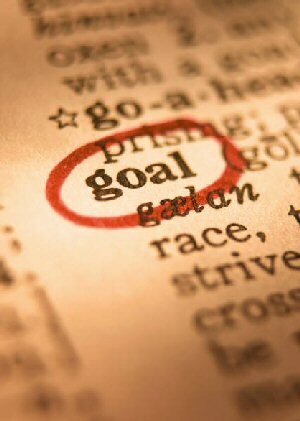 I’m not sure why the word, “goal,” appeals to me where “resolution” does not. It just sounds positive. Hopeful. A gentle guide along the journey one has chosen. Because what more could we ask of 2013’s linguistic gleanings than to help make us better people in the year to come? Another article I read recently that struck me as powerful (and somewhat related to the concept of resolutions and being better people) was in the New York Times. It was titled, “Be the Best Prisoner You Can Be.” The subtitle was “Learning to Measure Time in Love and Loss.” Terrific piece. Well worth the read. As we aspire to succeed in various areas of our lives, we often run up against obstacles that prevent us from pursuing certain paths. Having to give up some of our goals can feel like a huge loss. 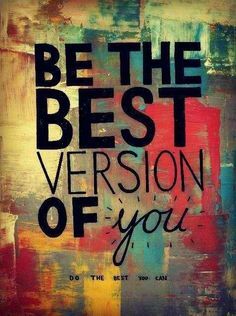 But learning to be the best at whatever we are able to do in our circumstances sounds like a terrific choice to me. In all the decades I have struggled with my weight (and eating disorders) I have noticed that the times I have been successful in shedding a significant amount of unwanted pounds—say, ten or more—I’ve not been on a “diet.” I’ve either lost the weight by increasing the amount of exercise I get, practicing “mindful eating” (a kind of zen portion control), or both. Oh, and recently I lost 10 pounds by completely losing my appetite for a couple of months after a life-threatening car wreck. I don’t recommend that method. (By the way, the appetite has returned, along with a couple of the pounds, but I’m working on the mindful eating thing.) Back in the ‘80s I read a book called Fit or Fat, which posited the theory that it’s what you eat 80% of the time that matters. I was also teaching aerobics, which I’m sure was a big part of it. Anyway, I just ate more mindfully during the week (while exercising quite a bit) and enjoyed pretty much whatever I wanted to eat on the weekends, and I lost a lot of weight and kept if off for several years, as I continued that approach. All that to say that dieting or losing weight definitely won’t be a New Year’s Resolution for me, although I’d sure like to shed another ten pounds or so. I’m just beginning to exercise a little, having finished physical therapy for my broken leg and ankle a few weeks ago, so hopefully that will help. We’ll see. 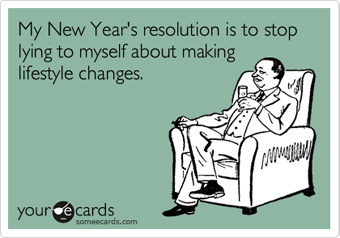 Back to the issue of resolutions. My friend, Karissa Knox Sorrell, did a terrific blog post yesterday called, “The Year of Presence.” She chooses a word each year to focus her personal growth efforts, and for 2013 her word was “present.” In her post she shares how she tried to be truly present in several areas of her life, and how that worked for her. I’m looking forward to hearing what her word for 2014 will be, and I’m thinking of choosing a “word” myself. I might even join #oneword365. Humorist, Bill Mann, has a funny piece in this past Saturday’s USA Today, “5 weird New Year’s resolutions.” Mann’s suggestions are what he calls a “more doable, if admittedly a bit odd” set of resolutions. I’ll leave it to you to click on the link if you want to read them. If you’re still determined to declare a resolution come Wednesday, here’s a list of apps that might help you, in Parade’s “10 Most Popular New Year’s Resolutions (With Apps to Help Achieve Them).” My personal favorite in this list is Number 10: Set Aside Time for Yourself. 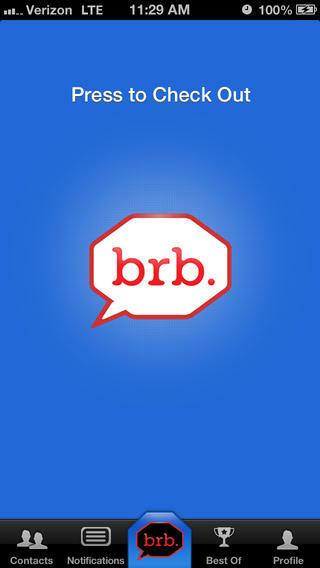 And the app is called BRB. It’s free. It’s a way to let your social media friends know you’re not available. If you’ve got a resolution, a goal or a “word” for 2014, I’d love to hear about it. Please leave a comment here or in my blog post thread on Facebook. Thanks for reading! Great post! Thanks for the shout-out. This post was perfect for me. I just bought a new pair of jeans – back up to size 12 (was hoping that 10s would fit) – and took advantage of the Victoria’s Secret 7 for $27 sale – got home, tried on one pair of the underwear, and decided I needed larges instead of mediums, and went back to VS to make the exchange. (Well, I did keep the one pair I tried on.) I’ve definitely been contemplating joining Weight Watchers AGAIN. (Joined before, great program, I just have no willpower.) Sigh. I’m LOL at your VS story, Karissa. And remembering Anne Lamott’s words about buying bigger jeans and loving herself. Also Melissa Gilbert’s same thing on bigger jeans in Eat, Pray, Love. 10, 12, 14… I go up and down. They are just numbers. Happy New Year! I like the Eliza cartoon. I too have difficulty getting more than one zero behind the words I write each day. Have a Happy and Rewarding 2014. Okay, the Be the Best Prisoner piece was awesome! !